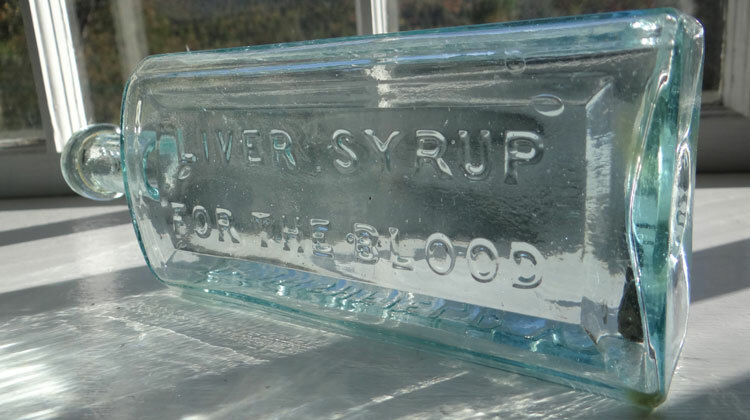 Description: This large early Vermont Medicine is extremely scarce. D.W. Bancroft, manufacturer of household remedies, established by him in 1868 had a laboratory on Road 22 just outside of the village of Marshfield. Best known for his celebrated liniment, “Bancroft’s Liniment or Instant Relief.” He also put up Lung Syrup and Bancroft Bitters. Condition: Excellent, strong embossing. Original cork is still in bottle, there is a tiny bit of residue in bottom of bottle. 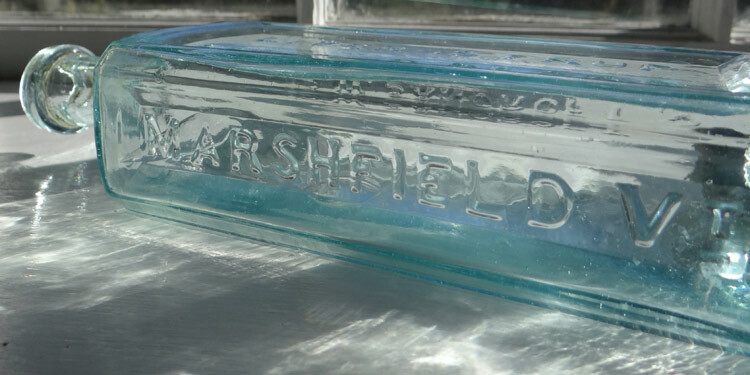 Glass is sparkling, heavy and with nice early glass character. One of the nicest examples I have seen.